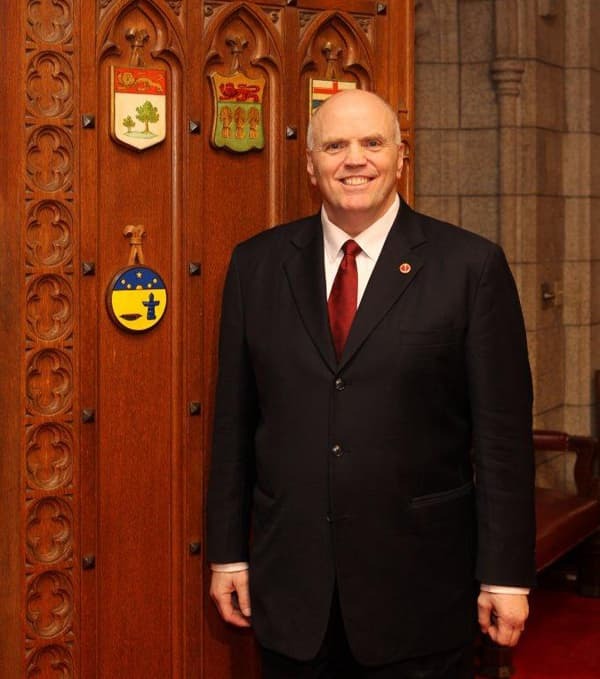 Sen. Vern White is using his experience as Ottawa’s former chief of police to help battle the opioid crisis in Canada – and he’s making progress. 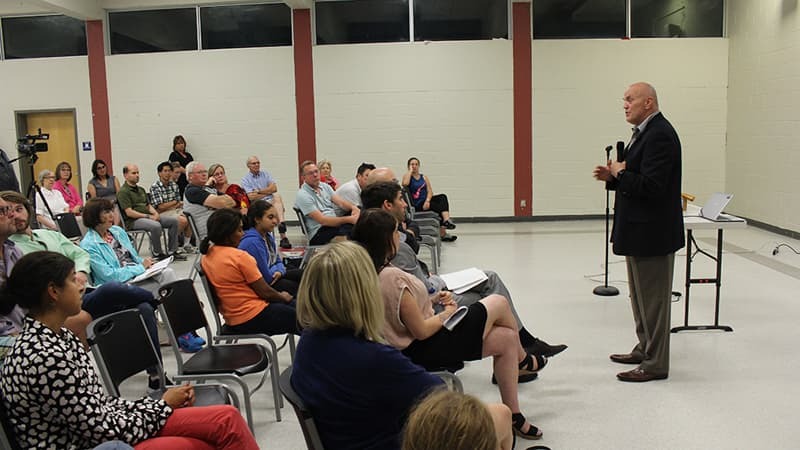 White, who last year got the government to restrict six chemicals used to make fentanyl, spoke to a group of concerned residents at the Canterbury Recreation Centre on Sept. 22 about opioids and the impact they have on Ottawa. In June 2016 the Senate passed White’s bill, S-225, which proposed to restrict certain chemicals used in the production of fentanyl. The government implemented the proposal before it could become law. “We passed the bill a year ago (in the Senate), and the government immediately implemented the ingredients to the listing under the Controlled Drugs and Substances Act which means there need to be permits to access any of those ingredients,” White said. White said opioids pose a crisis, and have been for about a year and a half. “Absolutely we are in a crisis. We have been in a crisis for 18 months,” White said. He added that other provinces in Canada have been hit worse. The federal government referred to opioids as an ongoing crisis in their opioid action plan. Present at the meeting was Coun. Shad Qadri, chair of the Ottawa Board of Health, who’s been attending many community meetings on the topic and has been working with activists to address the issue in Ottawa. Last year, the board voted 9-2 to approve supervised injection sites coming to Ottawa as a harm reduction strategy – Qadri and Coun. Michael Qaqish voted against. White is not against harm reduction, but feels education and awareness comes first. He would also like to see packages coming from foreign countries searched more thoroughly. White hopes that companies that are caught shipping ingredients over illegally will be prevented from ever doing so again and feels that these aggressive methods are necessary to combat the crisis. He hopes that better education in schools would help teens make right choices, a message echoed by drug activist group We The Parents which had representatives in attendance at the meeting. White added that teens need to realize even if they split a pill in two to share, one part could be laced in fentanyl whereas the other part may not. White would like to see all levels of government work together on this issue to get the message across in communities.